Home News Into the jaws of manholes – is anyone listening? Into the jaws of manholes – is anyone listening? The several open manholes in city are posing a serious threat to the lives of the people. Be it the posh localities or suburban areas, open manholes can be seen everywhere. 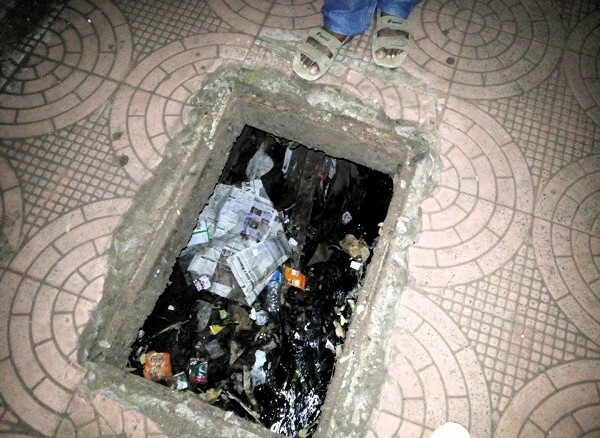 Despite several incidents in the past where people have fallen in these manholes and suffered injuries. We guess the authorities are waiting for a fatal one to occur only after which they would act upon. 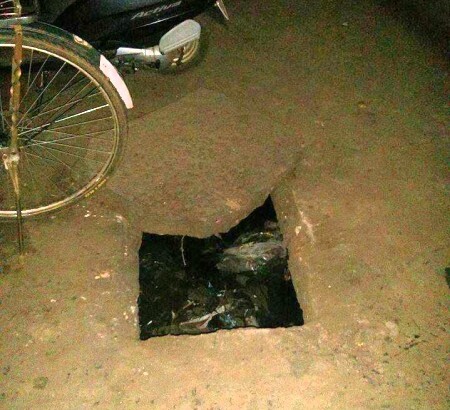 Shivanand Gejji shared this image of a open manhole on the footpath adjoining Benyon Smith on College road. In the night this sure a death trap. Look at this image shared by Renukaradhya Patil taken near Dharmveer Sambahji Circle adjoining Kelkar bagh another option given by the civic authorities to kill your self for no fault of yours. Open manholes were not even barricaded or demarcated by the authorities concerned. Civic Authorities are you Listening?